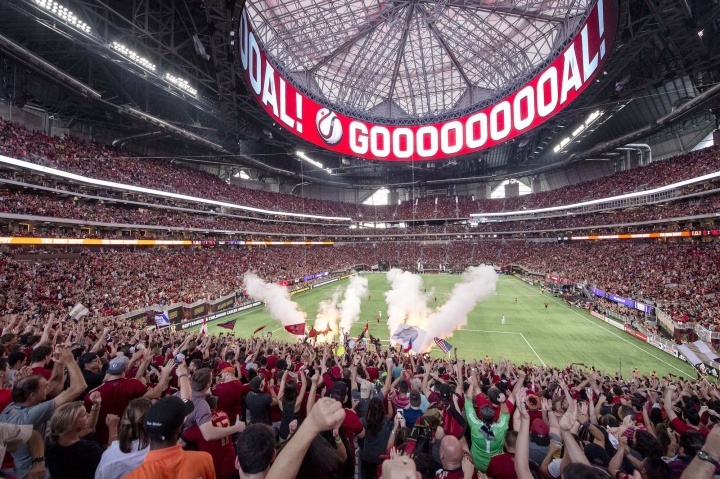 Atlanta, GA - Robert Edward's 26 stanza version of Pink Floyd's "Money" (in 7/4 meter) written for Atlanta United player Darlington Nagbe is reportedly not catching on with his fellow fans as Edward's attempt to pass out a 4 page songbook for the terrace classic did not allow the song to take root. "It's a simple timing signature where the drums are going to allow the fans to sing over the top, we just all need to memorize these lines before the next game," stated Edwards to The Nutmeg News. Edwards reportedly blasted out his version of the song on Facebook, Twitter, Reddit and even Instagram in his attempt to get this new track for Nagbe going for the fans of the Five Stripes. However, there was some push back as he needed a 16 tweet thread in order to send out all the lyrics to this masterpiece. "The song isn't too long if you spend a few days memorizing it," stated Edward's to his twitter feed. "I don't see how you can call yourself a fanatic for this club if you can't memorize every one of the mostly individual stanzas that I created for Darlington Nagbe that journals his entire career in soccer both internationally and for Atlanta." Friends state that Edwards was reportedly upset at leadership in Terminus Legion, the Resurgance, the Faction and Footie Mob for not supporting his Magnum Opus for Nagbe as he stated that they were, "not showing leadership if they don't print and distribute his song among all the fans across the stadium." The Nutmeg News will have more on this as Edwards calls for a T.I.F.O with the lyrics of his masterpiece that will allow everyone to understand the lyrical complexity that he built into this song.